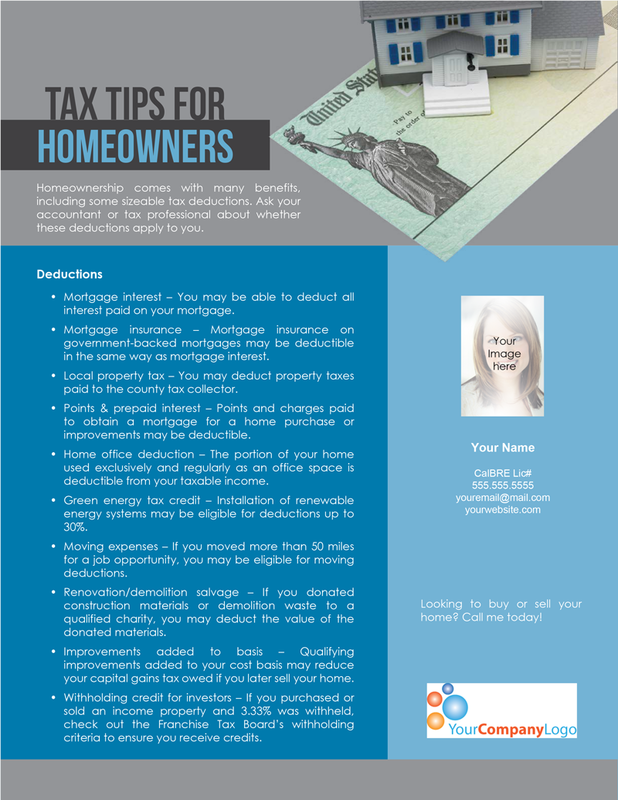 Homeownership comes with many benefits, including some sizeable tax deductions. 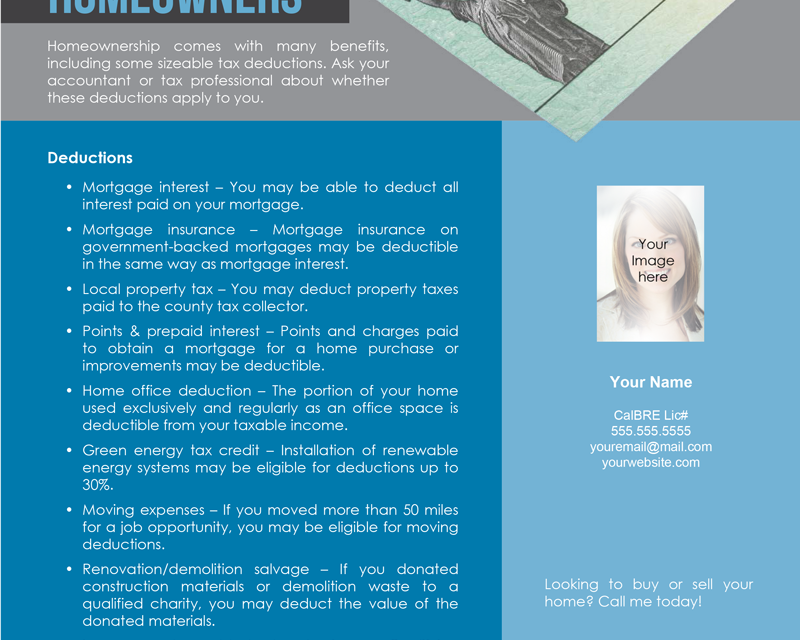 Ask your accountant or tax professional about whether these deductions apply to you. Mortgage interest – You may be able to deduct all interest paid on your mortgage. Mortgage insurance – Mortgage insurance on government-backed mortgages may be deductible in the same way as mortgage interest. Local property tax – You may deduct property taxes paid to the county tax collector. Points & prepaid interest – Points and charges paid to obtain a mortgage for a home purchase or improvements may be deductible. Home office deduction – The portion of your home used exclusively and regularly as an office space is deductible from your taxable income. Green energy tax credit – Installation of renewable energy systems may be eligible for deductions up to 30%. Moving expenses – If you moved more than 50 miles for a job opportunity, you may be eligible for moving deductions. 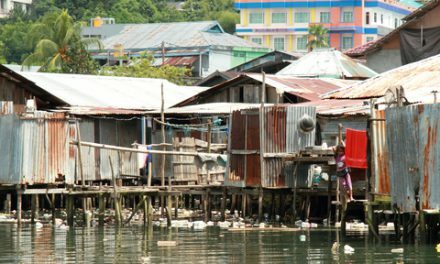 Renovation/demolition salvage – If you donated construction materials or demolition waste to a qualified charity, you may deduct the value of the donated materials. 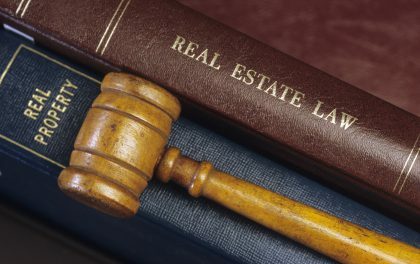 Improvements added to basis – Qualifying improvements added to your cost basis may reduce your capital gains tax owed if you later sell your home. Withholding credit for investors – If you purchased or sold an income property and 3.33% was withheld, check out the Franchise Tax Board’s withholding criteria to ensure you receive credits. Looking to buy or sell your home? Call me today!